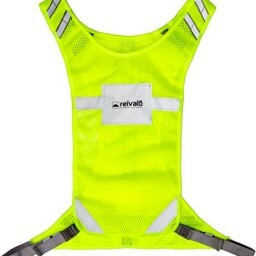 We created the Reivalo Reflective Safety Vest and designed it to be a product that will make you happy. Whoever Said Nights Are for Sleeping? We understand. Sometimes you need to keep going after the sun goes down. This is why we created the Reivalo Reflective Safety Vest and designed it to be a product that will make YOU happy. At Reivalo Outdoor Equipment we believe in making products that are superior in quality and rich in functionality so that you never have to look for alternatives or long for features competitors have. We love hearing feedback from our valued customers like you. And we love it even more when they tell us how we nailed it and gave them exactly what they were looking for or even something better. See below for reviews from our raving fans. You should get ready to become one. Includes high quality reflectors that make you visible from 380 yards away. 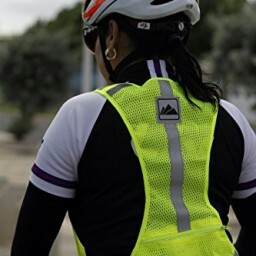 Designed as the ideal reflective safety vest for running, cycling, or walking. Comfortable one-size unisex fit with quick release side clips for easy release when dressing on or removing. 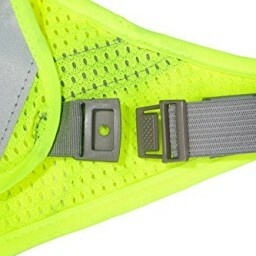 Allows for unrestricted movement while wearing the vest. Includes a zippered back pocket to keep you personal items with you during activity without having to carry them in your hands or having them bouncing around in your shorts pockets. Click the "Add to Cart" Button to Order Yours Now While Supplies Last. Reivalo Explorer LED Headlamp – Because Life Begins After Dark.